The best online marketing strategies all take time and effort. As a business owner you must look at all components of the digital space when starting your online marketing campaign. Stuff it up now and you will end up paying dearly for this by loosing customers and giving your competition the advantage. Get it right the first time and you will see some serious profits. This is how it works with Google, social media and other digital platforms. You have to know what your doing to make it work effectively for your business. Following are 5 really important that you need to consider before you even think about cracking open the champagne and thinking you’ve nailed it. 1. You must have a well thought out Online Marketing agenda. Before you even consider engaging the services of a digital or SEO agency you need to have your online agenda firmly fixed. It doesn’t have to be elaborate or overly complicated but you should have some firm goals in mind as well as a monthly marketing budget. Too often I get phone calls from people who know what they want in terms of an end goal but they haven’t even thought about a budget. When I ask them how much they would like to invest in SEO or social media they have no clue. As a business owner you should have these kinds of numbers at your disposal and be ready to commit when you are ready. Umming and erring and not having a decent marketing budget is the wrong first step. Your digital marketing company should be able to help you with this by customising a digital marketing solution that fits nicely with your marketing budget and goals. Your marketing agenda should be mapped out clearly where you examine your customers, your competitors and where your business fits in the market. Following are some great questions that you should really know the answers to. .How many sales do you need to make per week to pay all the bills – basically break even? .What percentage would you like to see your business grow by annually? .Who are your customers, where do they come from and how are they going to find you? .Are you competitive in the market and if not, why? Also, what plans have you got to turn this around ( we can really help you with this point). .Are you looking to be local, state wide or national? Perhaps global? .How do you communicate with your customers? .What is your best selling point? What do you do better than your competition? .What marketing platforms are you currently using, where do your competitors play online and what are your plans to dominate the online space? Once you have answers to these questions you will be in a much better position to work with your digital agency in achieving your goals. It’s really important that you partner with the right agency that doesn’t just give you answers your want to hear. You want to be challenged and be given honest, constructive advice. Not sweet talked into signing up to an agency that has no clue about the digital landscape. At Hopping Mad Designs we pose serious question like:what marketing channels do you feel you need to develop and nurture to attract those juicy new big clients? Also, once they find you how do you intend to convert them into paying customers? What marketing investment do you intend to make to achieve these outcomes? How may potential leads do you need to start at the top of your sales funnel (newsletters, subscribe now, social media) to make that sale? What percentage is your conversion rates? Do you have Google analytics and if so what are the site visitors and have they gone up or down over the last couple of months? If these answers are not at your finger tips we will be able to help you figure this out. We will make certain that you consider and completely understand all components of your online strategy such as : SEO, content marketing, web design, user interface, conversion rate optimisation, social media, blogging and email marketing. All of these individual channels come together to create the framework that will be your online marketing. You might think that all this sounds easy and you might like to have a go at it yourself, but from our experience this only ends up with really poor results and consumer engagement. Leave it to the pro’s like us at Hopping Mad Designs and you will see the benefits within a few short months. Your online marketing is like a jigsaw puzzle; it all has to fit together neatly if it is to succeed. You need the right people with the right experience and maturity working on your side. Unfortunately in the digital space there are far too many cowboys looking to earn a quick buck at your expense. The real advantage of working with a partner like Hopping Mad Designs is that all your digital marketing is handled by 1 team in 1 office. Nothing what so ever is outsourced and we have the experience and maturity of over 20 years to handle any type or size of company. Whatever you decide to do and how much of your internet marketing you decide to outsource the following are mandatories that you need to consider. Content marketing, especially blogging and the power of blogging for your business. For each of the above areas, having the support and expertise of digital specialists will as stated above be the difference between success and failure. I want to make a point here and really emphasise it here, never and I mean never go with an agency based on price. Why? Because many shonky operators will quote very low prices to get your business and make the sale without any regard for the work they will do. We have seen far too many good businesses get burnt because they have based their decision on getting the cheapest price. Watch out for this and know the signs that you are being scammed. Go with your instinct and look for partners you feel comfortable with and who can show you a solid track record. Yes you may have a great plan and yes you may have some really achievable goals but to get there you do need to have a healthy, workable monthly budget to invest. All digital campaigns ( whether SEO, social or content) take time; as you must measure their performance and ROI. Ideally you need to give any campaign 6 months to really give it a fair chance of succeeding. From that point you need to measure the results and overall ROI. This means you have to be committed to spending the monthly budget on your digital campaign and be comfortable spending this every month. In some cases we find businesses start off all gung ho and full of energy for these campaigns, but after a couple of months the shine wears off. This happens all the time with SEO campaigns and all we can say to our clients is that you need to be prepared to stick it out, wait and see the results. Eventually, once Google indexes the fantastic work we have done, you will start to see how good being patient is. My advice is is you are not prepared to do this for the long haul and be 10% totally committed then don’t start anything. having said that, there are really no other avenues so you do need to give it a go. Many business owners want instant results for their marketing budget but this is not how it works online. Quick results, especially when it comes to SEO can prove fatal as the only way you can rank a website is through a slow organic campaign. Try to perceive your budget as an investment in your business. If it makes this easier to digest then all the better. Be open to what your digital agency tells you. If they feel you need to move your marketing funds to another channel or platform then try to be flexible and open to this. If they feel you need to scale up and invest more money then based on their reporting and case for this give it a try. Remember this is an investment not an expense so there will be positive benefits. So if they feel as though you should be spending more money on say Facebook ads as these are delivering a better ROI, then listen to them. Marketing spend should be about 5% of your annual turnover. With the digital space this should probably grow to roughly 10% if your industry niche is very competitive. Think about it for a moment. If you want to rank on Google and you are say a cosmetic surgeon, then to really make an indent in this highly competitive area you will have to be very realistic about your budgets. You need reports and a detailed analysis of these results to determine what is and what’s not working. Some agencies will swamp your with unnecessary data to the point where you start to feel overwhelmed. Following are some important stats that you should be privy to. You should have set up Google analytics and be able to monitor website traffic and monitor conversion rates. You should find out where people are going to on your site and see if they are hitting the right conversion hot spots. If they aren’t then you need to make on page improvements. Armed with this information you will be able to track and improve overall conversion rates which in turn will drive revenue. You need to know what’s exciting your visitors and need to know what is stopping them from buying from you. If your in the ecommerce space, this type of information is vital….think shopping cart abandonment as a prime example. When it comes to Adwords you can spend a small fortune. This is why you must be on top of all your statistics and be prepared to make adjustments immediately. Wasting money of paid ads is a common problem, don’t let this happen to you. There is the temptation to focus only on the number of clicks your getting when in fact you should be looking at site conversions. Sure you may be getting hits, but is it worth the money? Are they actually buying form you? There is no point spending your marketing dollars on the wrong channel. Know where your customers are hanging out and be in that space and be there aggressively. If for example they are on Facebook, be there posting regularly. If they are on Instagram then make sure your posting images daily. I know this may all seem hard to do but its the best way to get a loyal following. As my last piece of advice, be sure look at your strategy every 6 months. 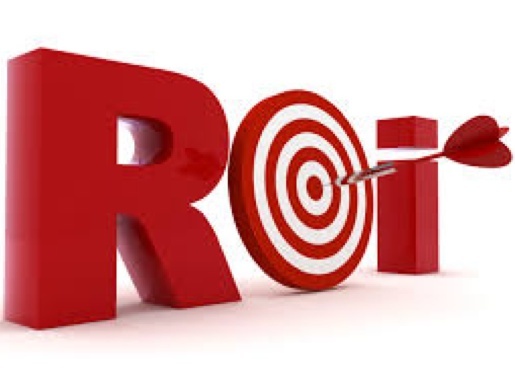 Make sure that you are serious about getting regular reports and using these to measure your ROI. The internet landscape is always changing and evolving and so should your online marketing efforts. Be dynamic and be prepared to adapt to new technologies as soon as they become popular. Nothing remains constant nor should your internet marketing.